2) What are the basic elements used for modeling mechanical rotational system? 3) Name two types of electrical analogous for mechanical system. 4) What is block diagram? 5) What is the basis for framing the rules of block diagram reduction technique? 6) What is a signal flow graph? 9) Differentiate between Open Loop and Closed Loop Control System. 10) Explain importance of Feedback system. 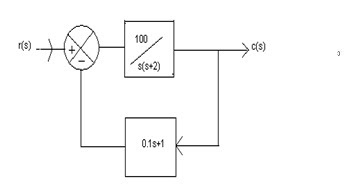 11) Write the rules of Block Diagram Reduction. 12) Explain Mason’s Gain Formula. 13) Write the differential equations governing the Mechanical system shown in fig. and determine the transfer function. 14) Determine the transfer function Y2(S)/F(S) of the system shown in fig. 15) Find the overall gain of the system whose signal flow graph is shown in fig. Whose block is shown in fig? 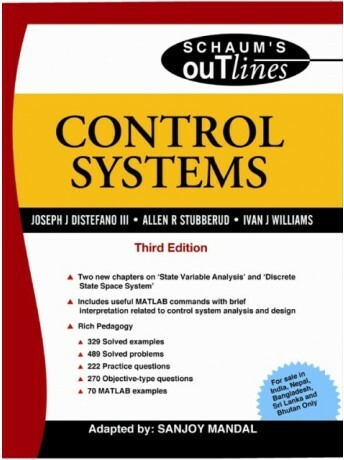 17) Derive the expressions and draw the response of first order system for unit step input. 18) Draw the response of second order system for critically damped case and when input is unit step. 19) Derive the expressions for Rise time, Peak time, and Peak overshoot. 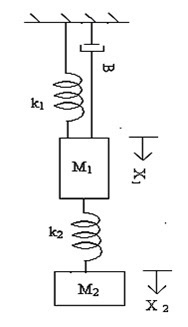 A potential control system with velocity feedback is shown in fig. What is the response of the system for unit step input? (a) Position, velocity and acceleration error constants. 21) What is frequency response? 22) What are advantages of frequency response analysis? 23) What are frequency domain specifications? 25) What is resonant frequency? 27) What is cut-off rate? 30) What is phase and Gain cross-over frequency? 31) What is Bode plot? 33) What are the advantages of Bode Plot? 34) Sketch the Bode plot and hence find Gain cross over frequency, Phase cross over frequency, Gain margin and Phase margin. 35) Sketch the polar plot for the following transfer function and find Gain cross over frequency, Phase cross over frequency, Gain margin and Phase margin. 36) What is the necessary and sufficient condition for stability? 37) What is routh stability condition? 38) What is Nyquist stability criterion? equation is s4+8s3+18s2+16s+5 =0 . G(S)H(S) =K(1+0.5S) (1+S) / (1+10S) (S-1).determine the range of values of K for which the system is stable. 42) What are state variables? 43) What is the state space? 44) What are phase variables? 45) What is a state vector?